This is a newly built corner cabinet , inlaid with willow twigs and copper panels. 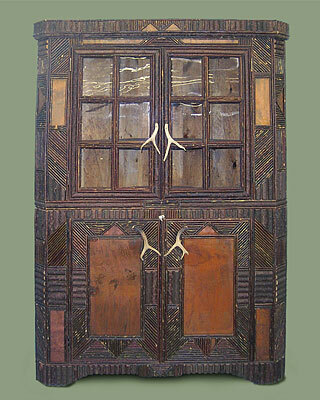 It features old glass doors and antler handles. This application of materials can be done to any type of furniture.